One of the pictures posted online. KFC has defended its hygiene standards after pictures emerged online showing bags of rubbish piled high near the kitchen of one of its restaurants. The three images, which were posted on Facebook, show several packed bin bags in a back room close to the kitchen at KFC, in Lockoford Road, Chesterfield. 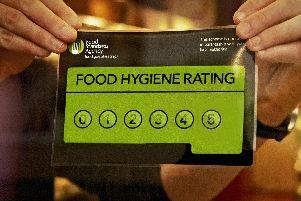 A spokesman for KFC said: “An independent inspection by the local authority last December awarded the restaurant a hygiene rating of four stars out of a possible five stars and the bin area in question is shut off from the store by a locked door to prevent it posing any hygiene risk to the rest of the restaurant. “We can assure customers that this was an isolated incident that does not reflect the high standards in place.